It was a pleasant start with the Baked Eggs. With a decidedly modern twist, the eggs within aren’t so much ‘baked’, but are actually 65 degree, sous vide eggs. 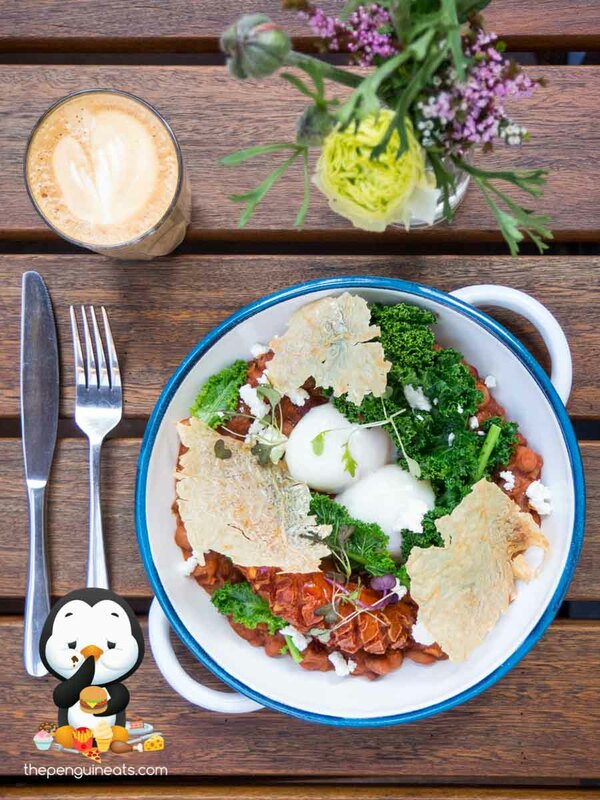 The result was predictably spectacular, with a set of exceptionally runny and silky smooth eggs that spilled out into a bed of rich and aptly soft baked beans. Without being overly mushy, the softer components of the dish was well contrasted by the generously sized kransky, with its outer skin providing much crunch. Served alongside some kale and our flavoursome addition of goats cheese that provided a creamy sensation throughout, this warm and hearty dish definitely satisfied our hunger. We also thoroughly enjoyed the Banana and Blueberry Matcha Hotcake. The spectacular presentation and absolutely gigantic plate made way for a sizeable and slight spongy hotcake. While we couldn’t quite taste the matcha from within, the banana and blueberry flavours were definitely forward and pleasant, which made for a moist and flavoursome dough. This was served with a beautifully sweet and aromatic maple syrup, as well as an indulgent and heavenly banana and coconut custard that we most certainly couldn’t get enough of! 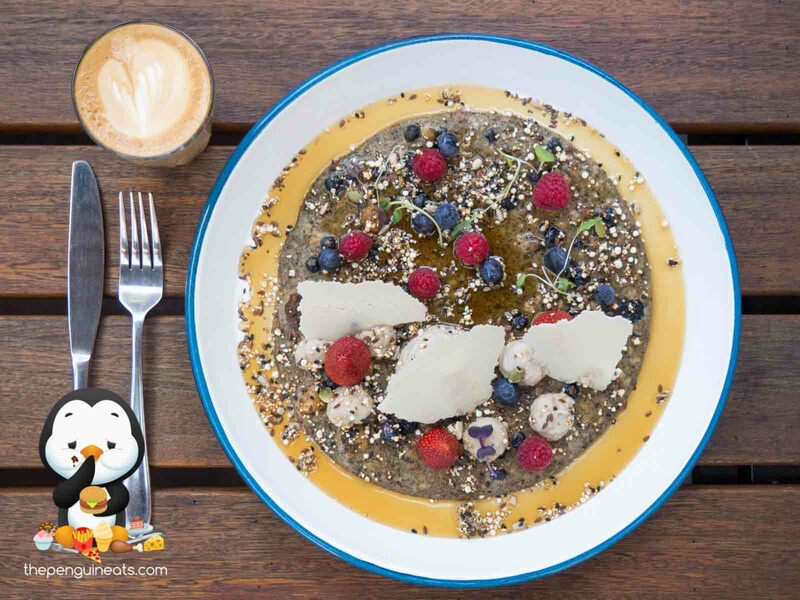 All contrasted by the crunch of the granola and tartness of fresh berries scattered throughout, this pancake dish not only delivered in looks but in taste as well. Both the Latte and Chai Lattes were rather flawless. 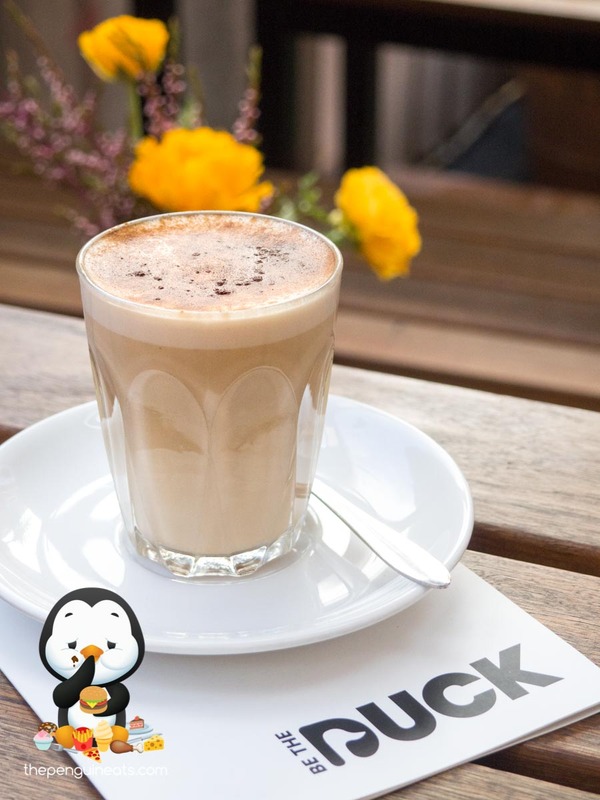 While a tad more care could’ve been put into the latte art and presentation, the drinks themselves were bold, flavoursome and very aromatic. The smooth frothing of the milk made for a silky smooth and creamy experience that definitely impressed. 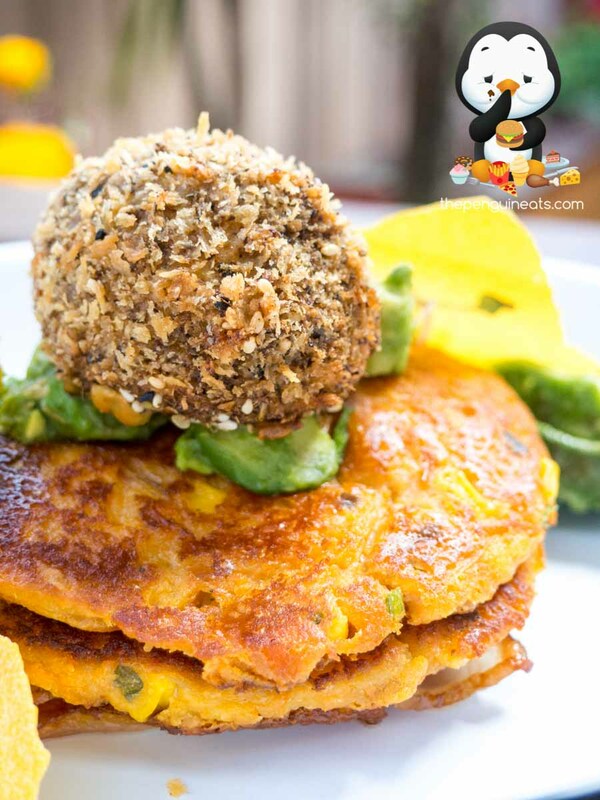 The Truffled Sweet Potato & Corn Fritters didn’t quite tickle our fancy on this occasion. 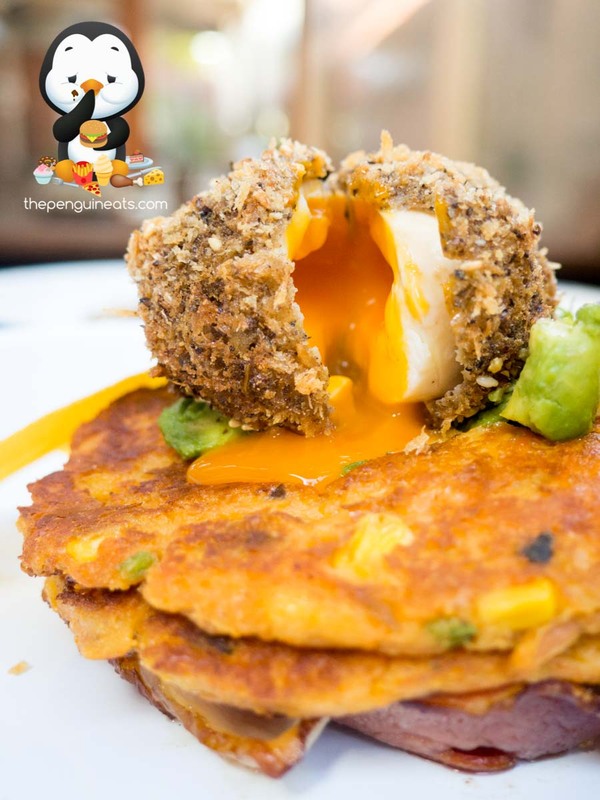 While the dukkah crusted son-in-law egg was aptly runny and beautifully prepared, the corn fritter in contrast was lacking in crunch and crispness, though we found the corn and sweet potato flavour to be pleasantly sweet throughout. Fortunately, the crunch components were found in the bacon, which was hiding underneath and fried to a perfect crisp, with its fat nicely rendered down. The biggest letdown though, would be our ‘smashed avocado’, which was neither smashed, nor very fresh, on this visit. 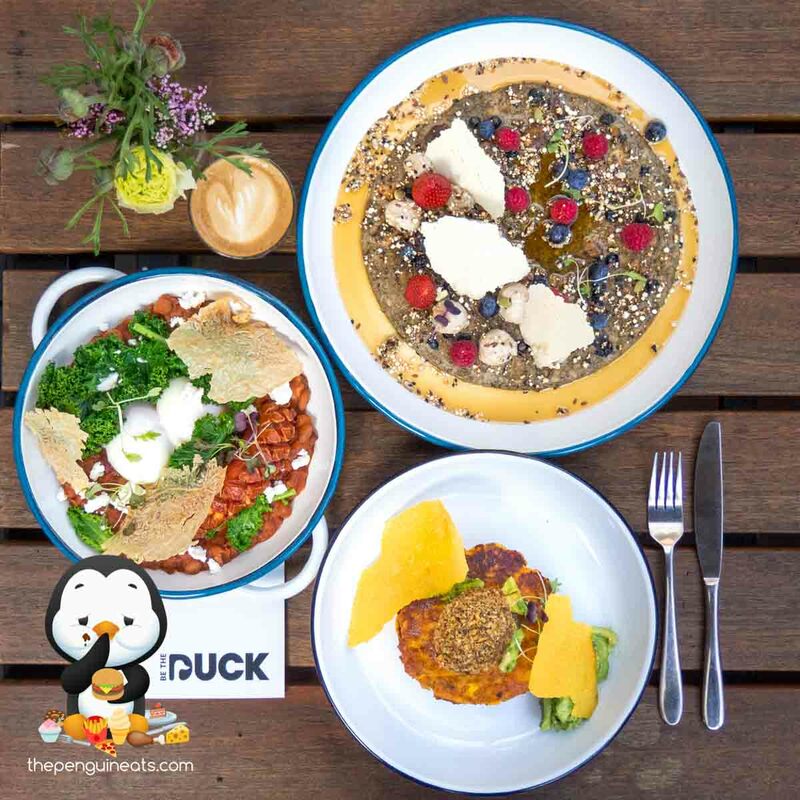 With an incredibly creative and interesting menu, Be The Duck undoubtedly breaks the norm of your average cafe. With innovative dishes that sport decorative components that add flare, we were definitely surprise on both taste and presentation. 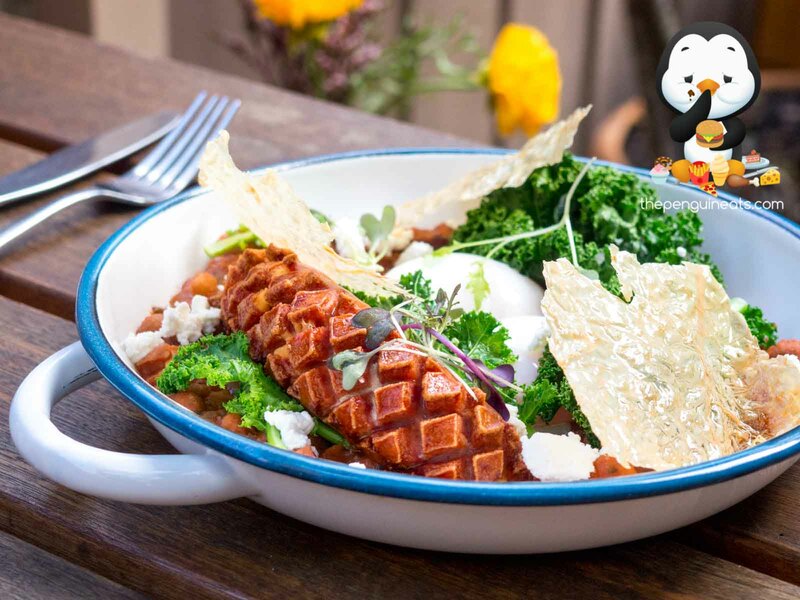 It’s still early days for this recently established cafe, but with some fine-tuning, owner and chef Tom can definitely elevate these unique dishes to the next level. Sure. Given the solid foundation on which the menu has been built on, we’d love to return for a more refined and consistent experience. 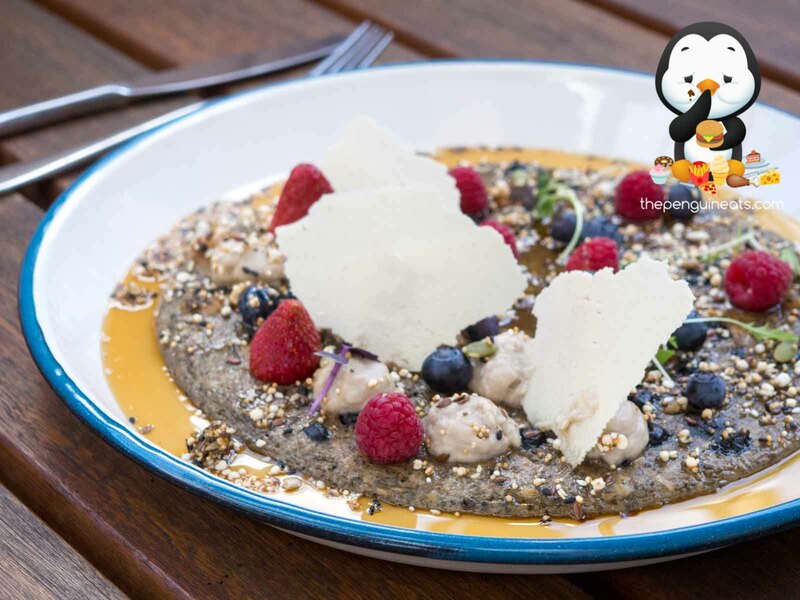 Penguineats would like to thank owner Tom for inviting us to Be The Duck.